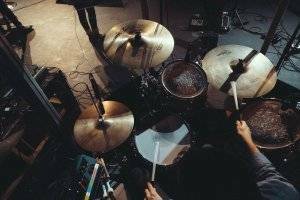 Whether it’s at the very outset of falling in love with the drums – whether it’s during the first few years of drumming – or whether one is well into one’s drumming career: Most of us are constantly trying to figure out how to become a better drummer. For besides the beauty of rhythm, I belive that drumming is in many ways about growth and self-improvement. So I remember the early days when I was obsessed with drumming, listening to track after track of the great drummers of this world. And I remember how, despite all this listening, I didn’t really have a set of principles to ensure that I would improve as a drummer every day. Now, a dozen years later, I like to believe that I am – and I like to believe that I have figured out 5 principles of how to become a better drummer – every day. And guess wha? Today, I’m going to share them with you. Are you seriously thinking of turning drumming into a profession? Then don’t do it all by yourself. You may think you have a knack for learning things without any help, but from my experience drumming is a different story – and an additional set of eyes can accelerate your learning curve tremendously. So if you want to see substantial improvements in your drumming, join a music university/institute or take lessons with a local teacher or an online drumming program. What has probably helped me most, was to have a teacher to help me figure out sheet music (at least until I understood the basics). You can also look into studying drumming abroad. There are always cheap flights to your nearest drumming destination, so go book that flight and start pursuing your passion. In all, one ‘easy’ way to learn how to become a better drummer is to have a step-by-step system to follow. And choosing the right drum set for you is easier said than done. Otherwise this site wouldn’t need so many articles. I recommend you start here if you know you need electronic drums or here if you don’t know what you need at all. 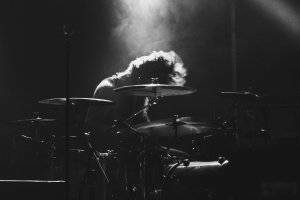 It’s easy to set overwhelming goals for yourself and this can lead to you doubting if you will ever reach you goal – regardless of whether that’s being a professional drummer or a kickass hobbyist. You won’t be able to have that flair like Buddy Rich or John Bonham right away, and that’s alright. Don’t obsess over it and start throwing a fit. It is great that you have ambitious goals and I hope that you reach them someday. But it will take time to reach such virtuosic levels. You won’t even be able to gain control of cymbals, drums, and pedals on the first day of practice session. Moreover, you won’t be able to develop your own style of drumming until you get your fundamentals fluent. In order to expand yourself and be able to play in other genres, you have to spend adequate time in one genre. So patience is the name of the game here. Try to enjoy the journey more than the destination. I know you are so enthusiastic that you want to start tackling challenging music right away. You may even be able to memorize every beat by heart and execute it on the instrument. But that’s just it: that is all you will be able to do and can’t come up with original rhythms and beats. 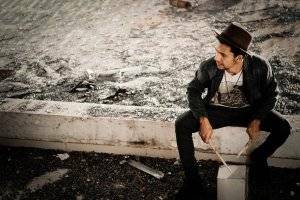 The premise of this post is not just for you to be able to learn drumming, but also be able to stand apart from others, to learn how to become a better drummer with your own unique style. When bands are looking for candidates, you will be their preferred choice because you not only have fundamentals down right, but also have the potential to develop your own style. The reason why it is so emphasized: to develop muscle memory. Since you stop overthinking about every beat, you have more stamina to spend on long and fast paced segments of music! Getting a good grasp of the fundamentals is your first step in knowing how to get better at drums. You think you have watched every tutorial on driving to the point where you are able to upload your own tutorials on YouTube. You have sat in the passenger seat with your parents and friends driving countless times, observing every movement they make, and you think you now know everything about driving. The fact is, even with all the observation and watching you did, you will still stumble and make countless mistakes when you get your hands on a steering wheel for the first time. Similarly, watching numerous drumming videos and memorizing every beat by heart of every amazing drummer does not and cannot make you an expert overnight. Still, it doesn’t matter how many hours and days you put in your drumming practice. If you are not properly executing techniques or making errors synchronizing beats, then you will not get better. Don’t think that practicing at home alone for several years will directly get you an automatic opportunity to perform in front of thousands of people and millions watching at home. So play different styles of music, participate in gigs and take opportunities to perform in similar acts to gain both experience and also a following in town. An expert drummer does not consistently play loud music, with fast hand movements from start to finish. Not only does this deplete stamina, but the music soon becomes monotonous. The trick behind splendid performance lies in building compelling tempo and being able to do fills between transitions using softer tones. To be able to have better control and technique and convince the audience that you have honed your skills, try playing the most difficult and fastest patterns as quietly as you can but still at an audible volume. In your search for ways on how to become a better drummer, have you considered being mindful? When you are just starting out with drumming, you will inadvertently grab and hit drumsticks strongly and this will strain your wrists. Ideally, when you have practiced enough and are at the point of performing in front of a crowd, your shoulders should be relaxed and your grip on sticks should be lighter. Performing well in your garage is one thing and it’s an entirely different thing to perform well in front of large audience. To overcome stage fright or the fear of failure, as mentioned previously, take part in gigs and other opportunities where you get a chance to play in front of a crowd. Master the fundamentals so you won’t have to keep thinking about where or how hard to hit. Make playing part of your muscle memory so that you wont be tired physically and mentally. These will help you gain the confidence you need to reach another level of success. Although several great drummers have left an indelible mark in the music industry and even more are clawing their way to greatness, know that you can still bring something to the stage that everybody will remember YOU by. I am a beginner drummer and just started my first class last week. And I love it! I’d like to ask, i’ve read many articles about playing to a click/rhythm, but i also read some that says DON’T USE A METRONOME. They said that a metronome ruins the ‘feel’ of the song and makes it ‘less musical’. I am confused. What should i do? Thanks for your question! I don’t know why someone would encourage a beginner not to use a metronome. After all, how are you supposed to learn to keep the time if there’s nothing to guide you. Only exception being: if you’re playing along to a song and you can keep the rhythm without a metronome that’s fine of course. 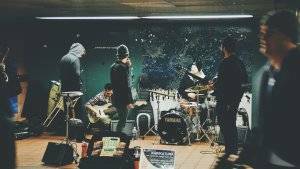 Yet, even many bands run a click in the back (that the audience never hears) – especially when they have backing tracks of some sort (which many bands now have). Many band does and I wouldn’t have won the audition if I had not practiced with a metronome all those years. I’ve been drumming for about 40 years and I recommend to never use a metronome, unless you are forced to use one in a recording studio. The click of a metronome can be districting. Young drummers will find themselves hitting single strokes along with the “click” instead of playing rudiments and feeling the music. I took lessons as a kid and was discouraged from using any mechanical clicks. I can relate and understand your experience with metronomes wasn’t good. However, I often find that young drummers have a hard time “feeling the music” without a click, so I recommend it a support in those cases. Thanks so for pointing out that feeling the time / music is the primary goal for a drummer – whether he prefers to practice with or without a metronome. Use a click bro, if you learn your rudiments well, lock in some grooves and start playing in the pocket – then a click track will merely act as a guide rather than a disctration. You learn to play with it as if it were another instrument – When I play with a click I find more freedom as I don’t need to always constantly keep the tempo of the song, the click does it for you! Thanks for your take on this too, Nathan! I still think everybody has to decide for themselves, but like you I’d strongly recommend using a metronome for beginners. I’ve been drumming for many years and only recently started using a click track . Wish I had started earlier . It helps develop your internal clock and many bands use a click in the studio and for live shows . Get used to it . Very good add here. Learning to play along a click track is indeed very important in terms of joining a band or drumming in the studio. Thanks for sharing that and all the best for you!